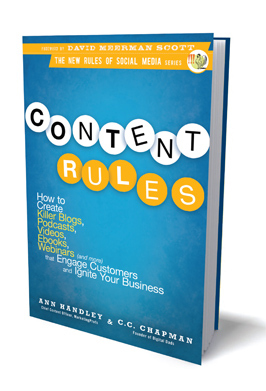 Solid, solid book for anyone wanting a practical overview of content marketing. The how and the why-the-hell-should-I-learn- this-new-fangled-social-media-thing are all covered here. I liked how this was uber practical and actually drilled down into the types of content you could create… stuff like webinars, blogs, podcasts – the pros and cons of each and how to do it basically (read: cheapo). And then final answer to all of life’s problems (perhaps just the marketing ones). “The answer: Tell stories.” (I might add to that, Seth Godin style, tell better stories). Want more of these fine dangly quotes? Then get the book here.